"Danish and Baltic Military Cooperation" by Colonel N.H. Johansen, Danish Defense Attaché to the Baltics! 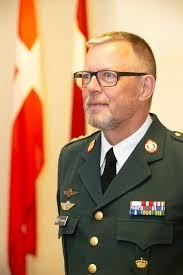 Colonel Niels H. Johansen from the Danish Army has started in this position on August 2018 taking over responsibilities from Colonel Søren Frausig from the Danish Royal Air Force. Colonel Niels H. Johansen has previously worked together with Baltic colleagues in various capacities. As staff officer in Defence Command Denmark, he supported the development of the NATO Membership Action Plans. During his time as chief of staff of the 1st Danish Brigade, he also trained together with Estonian, Latvian and Lithuanian brigades. The seminar is followed by buffet and networking. The event is fonly for the DCCL Members and free of charge. However, non-member Danes are welcome to participate at cost of 30 EUR /person.to be paid by invoice prior the event.